So many ways to fill baskets for him and her, from BBQ and tools and then tea and art. 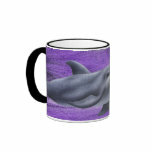 Do not stop with baskets, what about pet bowls for dogs and cats, or mugs for coffee lovers. Basket filling is not only fun and gaining popularity, but adds a bit of a personal touch to your gift giving as well. Always put heavy Items on the bottom, if adding food be sure jars are standing then add smaller items, and finally attractively wrapped items on top. A central item is nice, like a slightly tilted bottle of wine or cider. Filling ideas are endless, from the traditional kitchen items, coffees, and teas, to pet items or BBQ items;use your imagination. You can create a "basket" for just about any occasion. BBQ basket, fill with sauces, a small cookbook by a famous cook, BBQ utensils, a rolled up apron. How about some hand tools and a few craftsman books. Bonsai basket, a bonsai tree well presented as the center item, bonsai sheers, books, little figures, stones, a couple small pots/dishes for plant starters. How about a carwash gift bucket, a bucket filled with items for his car from wax, soap, towels, and sponges to the tree air freshener and some free carwash coupons. Friends or family that have new pet, why not make them a gift basket to welcome the new fur baby. Instead of a basket use a new pet bowl for dogs, fill with toys like a Kong, tennis ball, add some dog treats, a can of food, and stuffed toy. For cats add a can of cat food, some toys like catnip mice, feather on a stick, and little balls. In both a nice addition may be a pet brush. A couple of small bath towels rolled in the center of the basket with ribbons around them, bath beads, salts, and soaps, a sponge or colored wash item, maybe a back brush, some scented candles, and tea. How about scented creams, body oil, body spray or powder. In a plant pot or a watering can fill with hand garden tools, seeds, small plant books, a garden journal, plant bulbs, etc. In a basket or cookie jar, a decorative pot, or bowl you can place an oven mitt and matching potholder, in back some cookbooks and cooking utensils like a whisk, wooden spoons with a bow, maybe some spices, kitchen towels, etc. Look around your own kitchen for fun ideas. 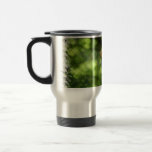 Mugs are so much fun to fill for all, from kids to adults, from sports fans to students. 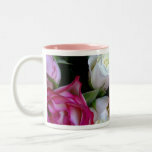 The idea with mugs is made up of two wonderful parts, making the personal touch all that much more. 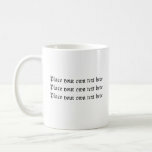 Part one is the mug, Zazzle and many other places online have mugs and you can pick your family or friend's favorite thing from sport teams and jokes for him to flowers and fairies for her, or pets, animals, pretty designs, movie favs, cartoons, cute and fantasy characters, birds and butterflies, winter and summer forests, oceans, boats, cars and more. 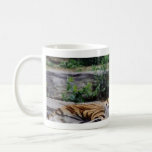 Not only can you find any favorite topic, you can create your own mugs at Walmart or any photo site even Zazzle. Take a favorite photo of the family, or new baby, or the couple in love, your friend's pets, or a photo of the loved one you are sending the gift to, perhaps a fun shot of you and her. Part two is the filling, there are just as many wonderul ideas for fills. For the student how about pens, pencils, funny erasers, rubber bands, stickers, bookmarks, etc. For teens try body spray samples, hair items, stuffed toy, or cell phone case. Coffee, tea, or candy lovers are easy, just fill with their favorites. Children are easy too, try small toys, stickers, game cards, crayons, stuffed toy, etc. For the artist fill with various art supplies, for the gardener put in gloves, seed packs, or a small hand tool. Many of the ideas above can be used as house warming basket ideas to create the cooks basket, the garden basket, the BBQ basket, the car wash basket, etc. There are plenty of other ideas as well like, the bookworms basket is a basket filled with books, obviously, all focusing on a theme important to the person. Find out their favorite author or genre. Or the full cheese basket, with cutting board, cheese knife, cheeses, and a bottle of wine. The candle basket for the candle lover would have different size square candles or the same design or color, then some small carved candles like fruit or roses, maybe some floating candles and some small baking scented candles, maybe some attractive candle holders or dishes. You can be very inventive with candle baskets. The pasta basket is a silver colander filled with sauces, pasta, an italian cookbook, and utensils. The coffee and cocoa basket is a family delight for both kids and parents with coffee samplers, cocoa, a bag of marshmallows, and matching mugs. Don't forget the personal touch, add anything you like in the housewarming basket that will make it personal. I used to make a lot of housewarming baskets and I made them keeping in mind the first day at the house, what they may need when everything is packed, lol, maybe some dish towels, a bottle of wine, scented candles, a hammer and screwdriver, 2 glasses, 2 mugs, 2 small plates, coffee samplers, cocoa, some jams and crackers, some cookies, maybe an local area magazine, some tea....... put on your thinking cap!